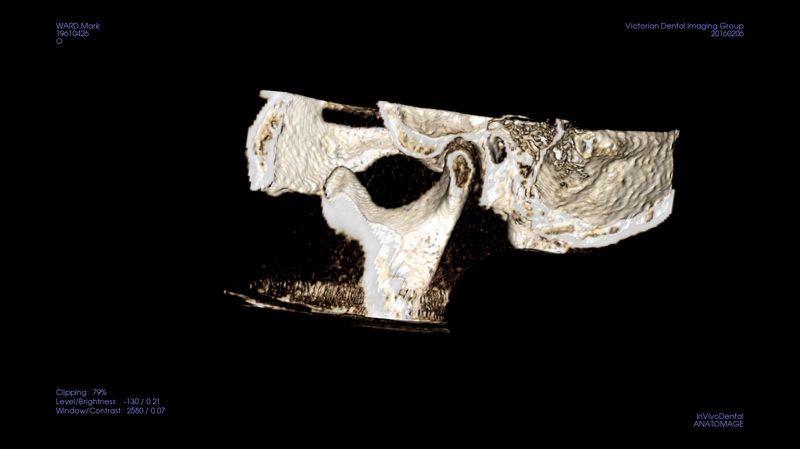 A Cone Beam CT provides high resolution three dimensional views of anatomy for thorough analysis of bone structure, tooth positioning and orientation. 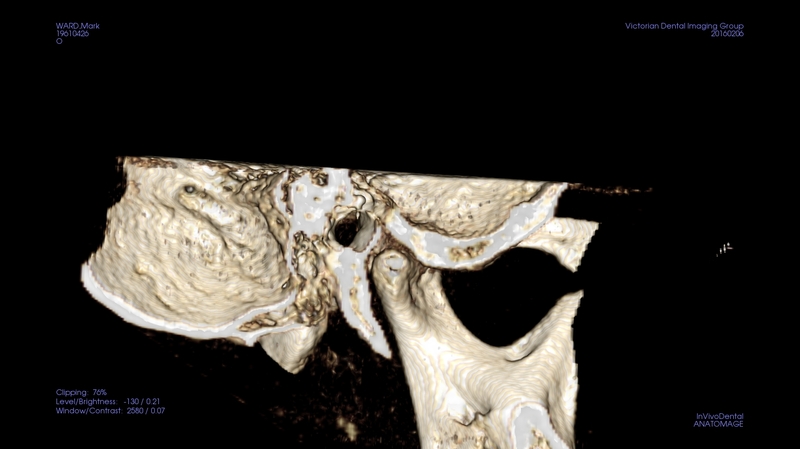 It provides undistorted and accurate cross sectional, axial, coronal and sagittal views. 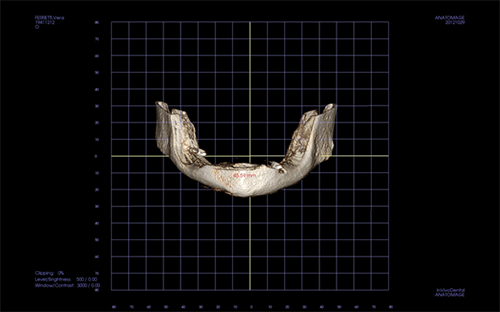 Dental clinicians who are placing dental implants are rapidly becoming one of the largest user groups who are referring patients for CBCT scans and images simply because of the added information able to be obtained from a single CBCT scan as compared to traditional 2D imaging. 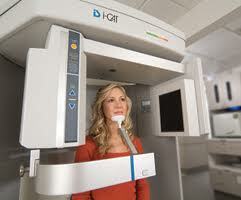 The CBCT can measure the bone thickness of the jaw and also define the shape of the bony contours. 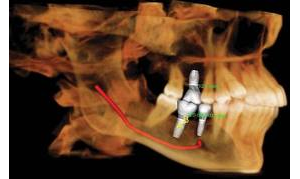 It can also accurately locate the position of the inferior alveolar canal in the lower jaw, thereby minimizing the risk of paresthesia caused by damaging the nerve. In the upper jaw, knowing exactly how much bone there is for the implant site will reduce perforations through the maxillary sinus. 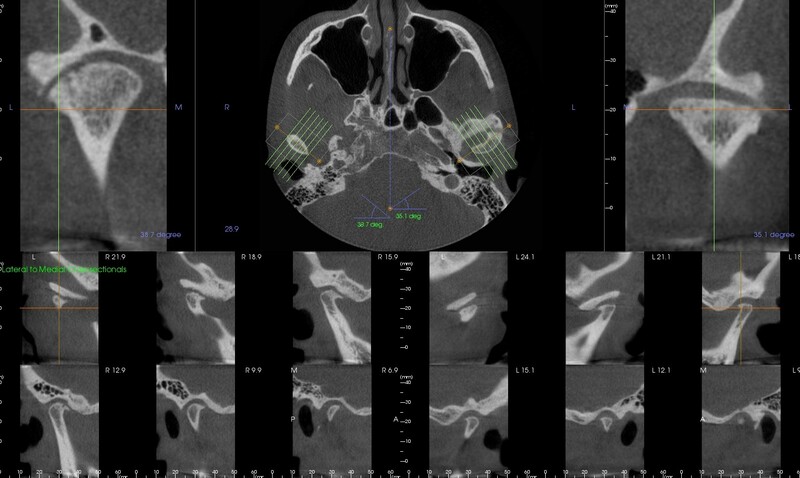 CT scans can also be a useful marketing tool to demonstrate the treatment plan to your patient. For our new referrers, we provide a link on our web page where downloadable software can be utilized to view, plan, measure, manipulate and demonstrate the treatment plan. In addition to this, we can organize a free tutorial on how you can get the best out of the free i-CAT Vision Viewer Software. Please do not hesitate to call our rooms to make an appointment. 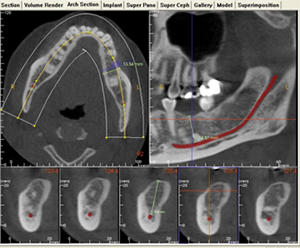 We can also use Anatomage, Simplant and Nobel Bio-Care software for our implant assessment reports. We can deliver images in a number of ways and file formats such as standard x-ray film to CD or email along with the necessary viewers for you to utilize for treatment planning. 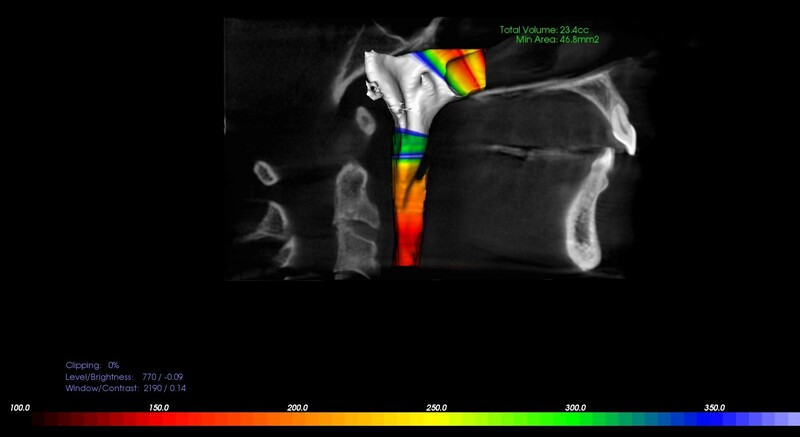 VDIG will Bulk Bill all single implant study scans when referred to us by a dental specialist. However if you are a general dentist, rest assured that our private fees are the most competitive in the industry.